The Deloitte Center for Health Solutions recently interviewed 43 biopharmaceutical industry stakeholders to explore where the industry sees value and opportunities for using digital technologies in the clinical development process; understand reasons behind the relatively slow pace of digital adoption; and uncover strategies to overcome barriers and accelerate the use of digital in clinical trials. This is the second of two articles that shares interview findings and insights published in the new Deloitte report, Digital R&D: Transforming the future of clinical development. Despite numerous potential benefits offered by innovative technologies and capabilities, the biopharmaceutical industry has generally been slow to digitize its clinical development processes. 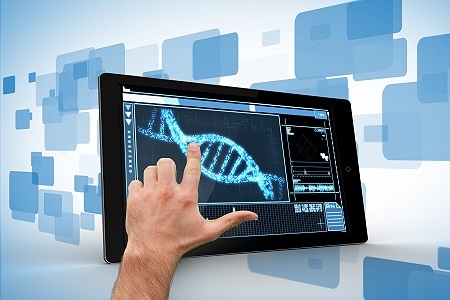 Many biopharma companies today think of digital as a collection of technologies, platforms, and advanced analytics, which may include connected devices, mobile applications, artificial intelligence (AI), and robotics. Even first-movers typically focus on piecemeal solutions—piloting one or several technologies in different areas of clinical development to support an existing process. execute efficiently by digitizing and rationalizing processes to drive efficiencies, cycle time reductions, and cost savings. Our first article, “Digital R&D: 4 Ways To Maximize Patient Engagement In Clinical Trials,” looked at the engagement opportunities arising from digitizing clinical development, especially the benefits to patients participating in clinical trials. This article discusses opportunities to innovate and execute. Digital technologies can help biopharma companies develop greater product value by providing significant advances in study methods that capture patient-centered endpoints and support product value propositions. 1. Stats on steroids: Digital technologies can increase the statistical power and sensitivity of clinical studies. More frequent data collection (daily, hourly, continuously) using sensors and wearables can generate much more data than periodic standard clinical assessments. As a result, a therapy’s effect can be demonstrated with shorter studies and fewer patients, requiring less effort and cost for recruitment and retention. 2. Endpoints that matter: Digital tech can capture patient-centered endpoints and support product value propositions. Advances in sensors and mobile technologies are making it easier to electronically collect patient-reported outcomes in a real-world setting, including enhancing the ways an intervention can impact a patient’s quality of life. In addition, new technologies that continuously collect patient-generated data — enabling the possibility of “digital endpoints” — offer the possibility of achieving certain trial results and then making decisions more quickly, thus saving time and money. While there are challenges with patient adherence and privacy as well as data quantity and quality, generating analytical insights on clinical and patient-reported outcomes can provide competitive advantages and support the case for investigative medicine approval and reimbursement. In the future, the ability to capture digital endpoints and health outcomes in a real-world setting could become requirements for value-based contracting. 3. Rethink and repurpose: Digital technologies can extract new insights from existing data. As companies apply AI and advanced analytics to data assembled from different sources (real-world evidence, claims, and completed and ongoing studies), they can uncover new insights. These insights may improve future study patient identification and recruitment, suggest possible new indications, surface potential safety issues in certain patient subgroups, or solidify assumptions about a compound’s likelihood to succeed in trials. 1. Work smarter, not harder: Digitizing clinical trials can improve investigator productivity. Clinical trial site staff and investigators often have to input data into multiple sponsor and CRO systems that rely on different electronic data capture (EDC) systems—each with its own portal, system, and adverse-event reporting. Technology can reduce this burden by digitizing standard clinical assessments, automating data capture, and enabling data exchange across multiple systems. In addition, cognitive technologies can generate action items for physicians and nurses based on protocol requirements, assist in scheduling patient visits, and prepopulate patient data into EDC systems. In neurological assessment, a commonly used symbol-digit modalities test asks a participant to match basic numerals to geometric shapes according to a reference key. The lower the number of correct connections within the allotted time, the higher the cognitive impairment level. A biopharma company made this test available to patients on an iPad at the point of care and fed test results directly into the patients’ electronic health records. This eliminated the need for clinicians to spend time conducting the test and entering the data and also enabled more standardized test administration. 2. Superior site support: Digital technologies can optimize site performance. Research by the Tufts Center for the Study of Drug Development on assessing and addressing site identification and activation inefficiencies found, among other challenges, that it is very difficult for trial sponsors to accurately predict site performance.2 However, by using better tools and technology, sponsors and CROs can help sites optimize performance and increase their ability to succeed.2 For example, analytic platforms can assemble and visualize data from multiple sites, generate more precise results faster via centralized monitoring, and provide a real-time view of site performance. Cognitive technologies, such as machine learning and natural language processing, can analyze performance data, stratify sites based on their productivity and data quality, and recommend site monitors visit higher-risk sites. These visits could inform decisions to offer remedial training to investigators, exclude certain data from the analysis, shut down unproductive sites early, or halt studies likely to produce undesired results, saving sponsors, CROs, and other stakeholders hundreds of thousands to millions of dollars. Nick Paul Taylor, “GSK starts RA trial on Apple ResearchKit, advancing industry use of iPhone-run studies,” FierceBiotech, July 17, 2016. “Getz: Site Activations Hurt By Commodity Mentality,” Clinical Leader, May 16, 2016, https://www.clinicalleader.com/doc/getz-site-activations-hurt-by-commodity-mentality-0001. Mark Steedman et al., A new future for R&D, p. 23. A new future for R&D? Measuring the return from pharmaceutical innovation, Deloitte UK Centre for Health Solutions, 2017. Dawn Anderson is a managing director in Deloitte Consulting LLP’s life sciences consulting practice. She has more than 30 years of industry and consulting experience in pharmaceutical, biotechnology, CROs, and technology companies. She works with biopharma and CRO clients to design and deploy global operating strategy, performance improvement, and technology implementations across drug development. Over the past 10 years, Dawn has led strategy and operations solutions including a focus on clinical transformation, clinical innovation, operating model optimization, organizational redesign, process re-engineering, insourcing/outsourcing strategy, vendor performance management, digital, advanced analytics, cognitive automation and artificial intelligence, and the design and implementation of enterprise clinical system solutions.